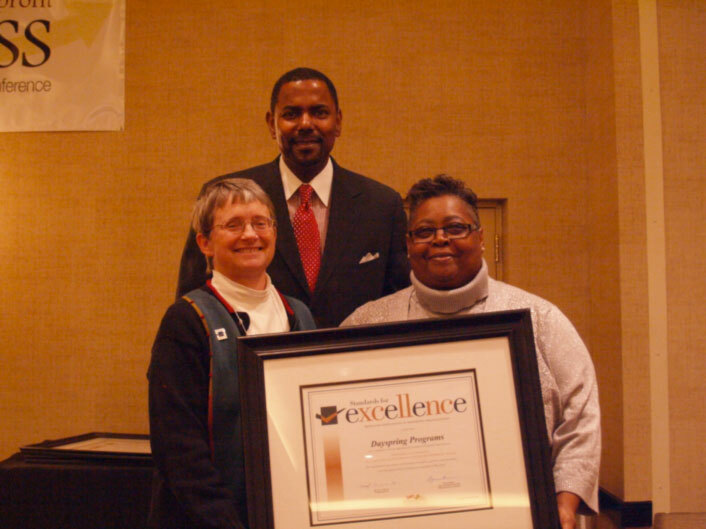 Dayspring Programs, Inc. was welcomed to the Standards for Excellence class of 2012 during the Maryland Non-Profits Annual Conference at the Loews Annapolis Hotel in Annapolis, Maryland. 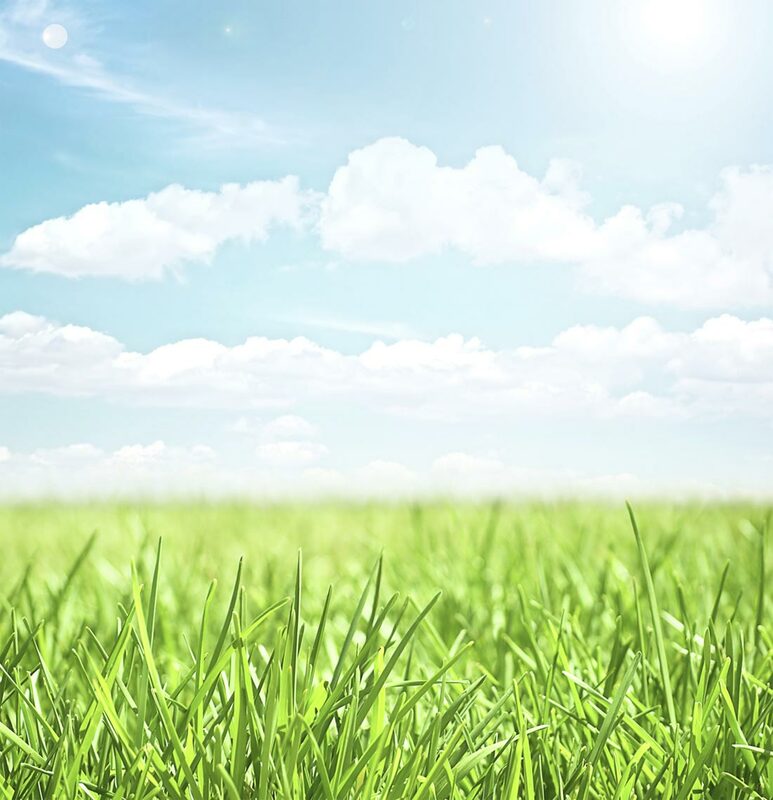 Dayspring has held the certification since 2003 with re-certifications awarded in 2006 and now 2012. 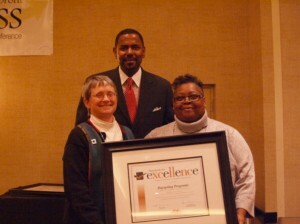 Marcia Middleton and Carolyn Chance, Dayspring Board of Directors pose with Darryl A. Jones.